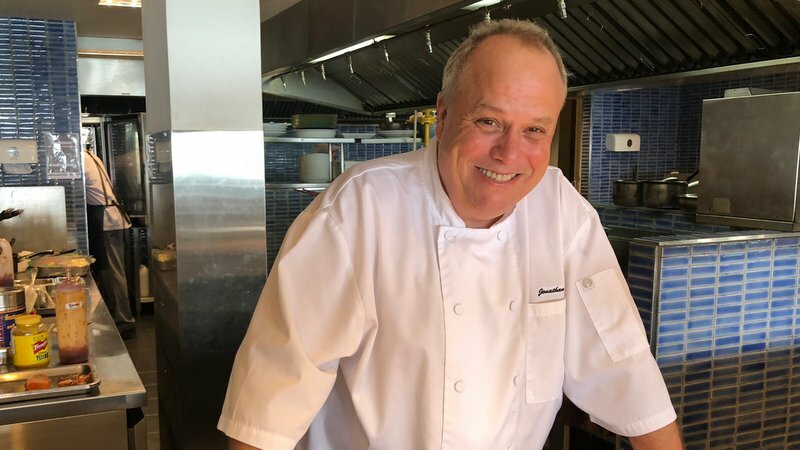 Jonathan Bruell, the Executive Chef at The Boathouse, has worked as a renowned International chef for over 35 years. His culinary expertise has taken him on a 5-star journey from London to Australia, and most places in between. Since joining The Boathouse team seven months ago Jonathan has brought his impressive resume to deliver a carefully crafted marriage of Thai and world flavours to the menu of one of the island’s most established eateries. Offered the opportunity to attend the new menu launch sitting, only a mad man would have hesitated. Jonathan is a very affable chef who is often front-of-house engaging with people, discussing his dishes and taking food requests and feedback from diners. It’s a nice touch, and an encounter all too often missing from a busy eatery. I asked Jonathan what culinary experience he was looking to create with the new menu selections. Viewing the new and substantial menu and its medley of choice, it’s clear to see this vision is more than provided for across the servings. For the sitting I was indulged with an incredible range of dishes delivering a diversity of flavours and styles through each course. So diverse in fact, that it’s impossible to review it all here in this article with any sense of justice. So many crowd pleasers, so little time. I can only implore you to venture to the restaurant and take in the experience for yourself. I shall only serve here to tempt you with a few highlights. 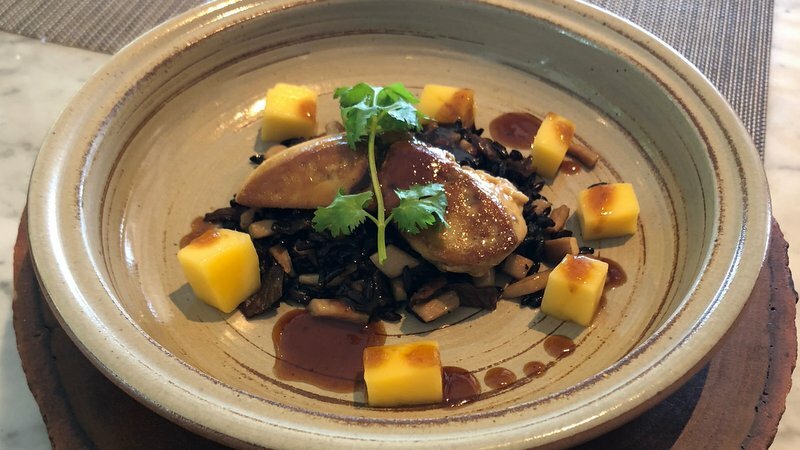 From the lunch menu I was presented with Pan-Fried Foie Gras with mango and black rice. The quality of the foie gras was exceptional. A wonderfully creamy texture that literally melted on the palate. The play off with the sweet mango simply works, and the black rice adds texture and substance. The Five Spice Pork Ribs had a well balanced glaze that did not overtake the flavour of the tender meat. 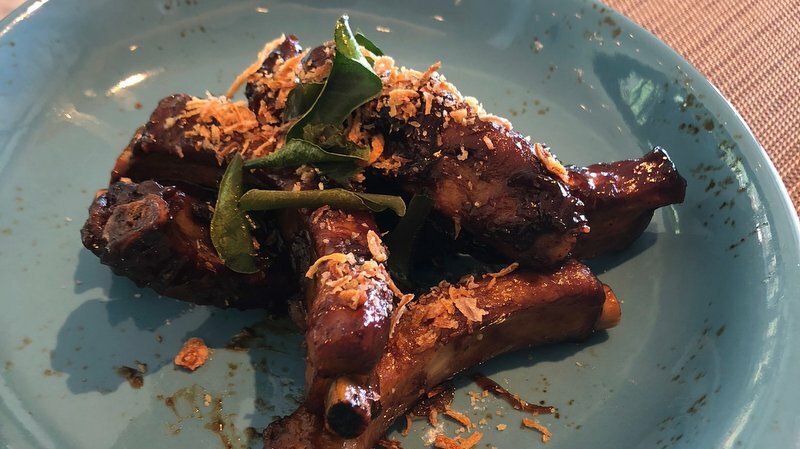 The crispy chicken wings with black pepper, coriander, kaffir lime leaves and lemongrass uses influences from Haad Yai with succulent meat pleasantly finished off with a light, sweet flavour. 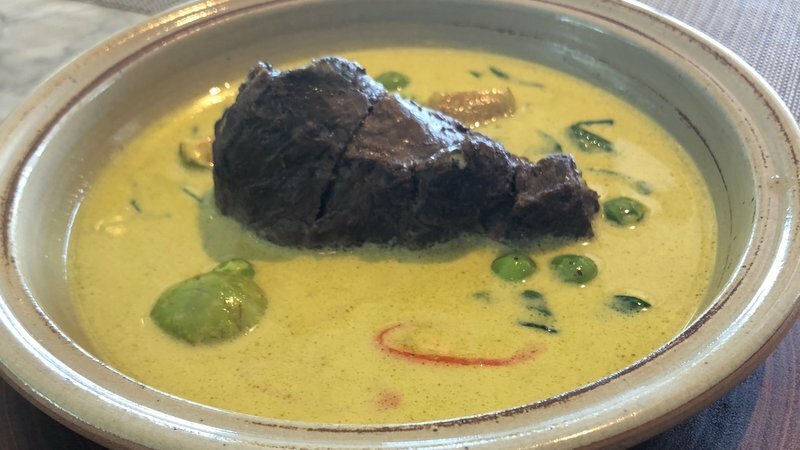 Next up I sampled the Braised Beef Cheek Green Curry. An intriguing marriage of ingredients that was a delightful surprise. The cheek is slow cooked and tender to perfection, served with egg noodle and a Thai green curry which is deliberately mild, and fully delivers an unusual but winning combination. For seafood fans there’s a melange of well crafted offerings to choose from. 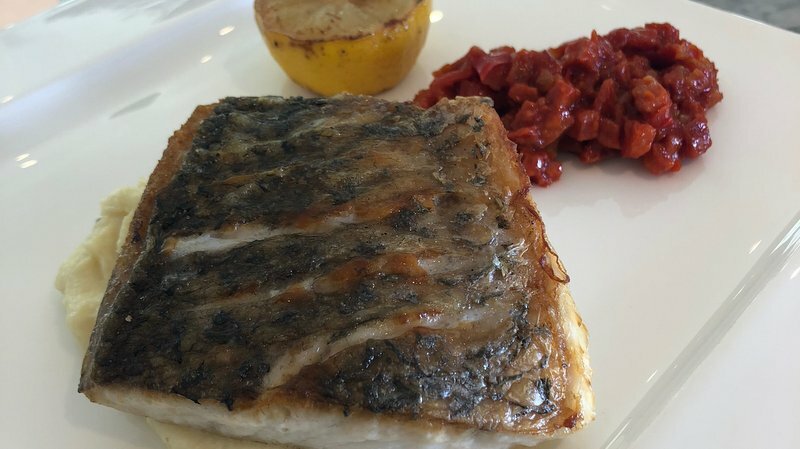 The Grilled Seabass presented was a substantial fillet that had a perfect crispy skin, whilst retaining the succulent soft flesh inside. If that wasn’t enough it was served with a creamy sieved smoked mash and a diced chorizo sausage salsa thats richness lifts the dish into a flavour combination that will have you grinning from ear to ear. If I was by then pleasingly satiated by these beautifully presented dishes, I soon found myself wanting again with the incredible desserts that were then presented. The sweets truly display the chef’s craft and guile at luring you for more. The White Chocolate Parfait with salted caramel was served with a chocolate moulded spoon housing a cube of raw chocolate which delivers a cacao fiend’s ideal combination. The Apple Tart was pleasingly simple with the thinnest of soft crusts, and a balanced blend of fruit, rum raisin and cinnamon spice. Mango Sticky Rice came with a mango jelly, pandan ice cream and a side of anchan flower sauce, giving it an aesthetic blue hue. Across the board The Boathouse boasts an impressive menu with variety, style and the essential attention to flavour combinations that provoke the diner’s interest, but ultimately work for the palate. But it’s also the complete service that impresses here. 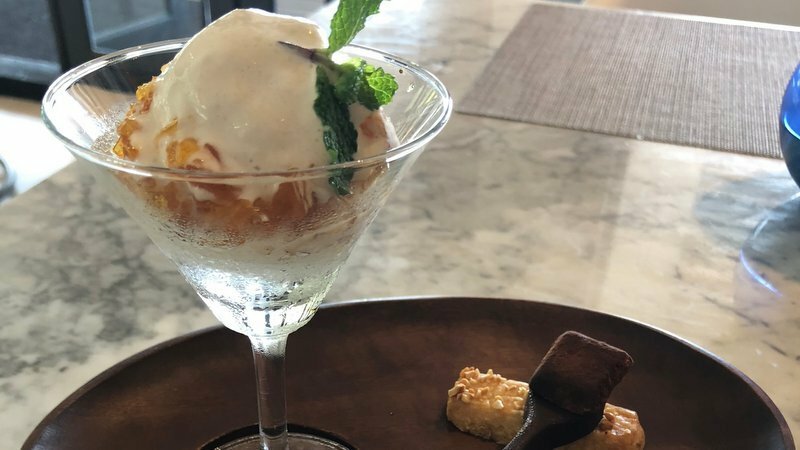 The establishment comes with two major personalities in the shape of Executive Chef Jonathan Bruell and Pinyo Thippimas, the Food and Beverage Manager. Between them they have over fifty years of fine dining experience, and it shows. If the stunning location on Kata beach and the refurbished, nautical interior design aren’t enough, the hospitality and depth of knowledge from Mr Thippimas ensures your return. The Boathouse remains a standing pillar of dining in Phuket.